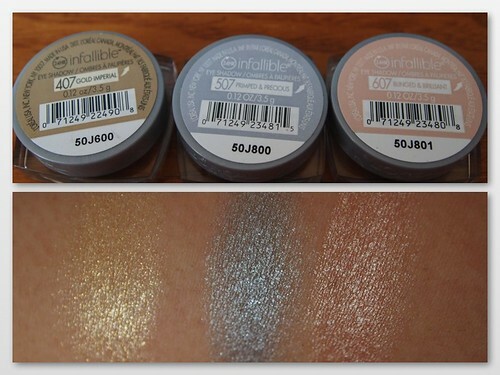 L’Oreal Color Infallible Eyeshadows: Diamond Collection (US) | sakura, lovely. Generally speaking, what are your favourite stores to visit when you travel to other countries? I love visiting drugstores and supermarkets in addition to department stores so most of my vacations are split 50/50 between shopping and sight-seeing… and if I’m honest probably 40/30/30 if I add in eating as its own separate category. So of course on my last trip to Chicago I wanted to visit as many drugstores as possible to see what I could find (actually I was looking for another set of LE pot shadows, but found these instead). 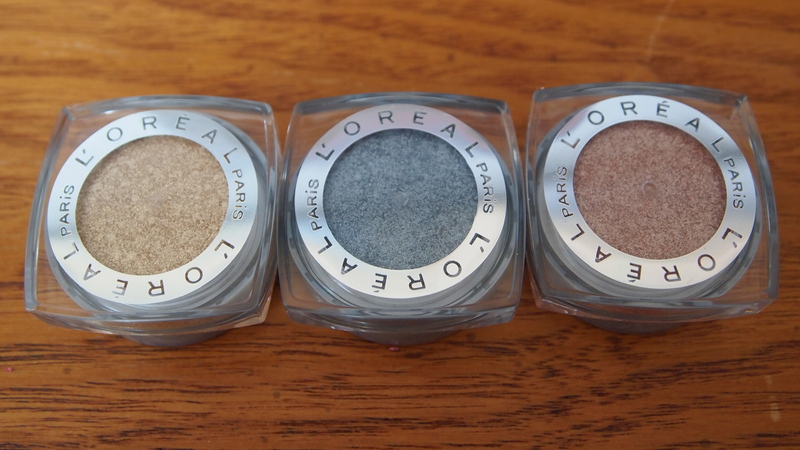 The newest additions to my ever-growing stash of L’Oreal Color Infallible Eyeshadows, these three shades were released as part of L’Oreal’s limited edition Diamond Collection and includes two new shades plus a re-promote from the gold collection released earlier in the summer in the USA. These eyeshadows are NOT, as yet, available in Canada that I’ve seen. 407 Gold Imperial is limited edition, but also a re-promote from the earlier, Olympic themed gold collection released in the summer. It is a cooler, whiter version of Eternal Sunshine. It is very similar to Armani ETK #19, but less pigmented. 507 Primped & Precious is new, limited edition, and a ‘medium’ silver. It’s darker than Liquid Diamond and less violet than Flashback Silver and Metallic Violet. 607 Blinged & Brilliant is new, limited edition, and a peachy bronze. It appears almost identical to Amber Rush in the pot but applies lighter and with more iridescence. Your Infallibles collection keeps on growing and growing! 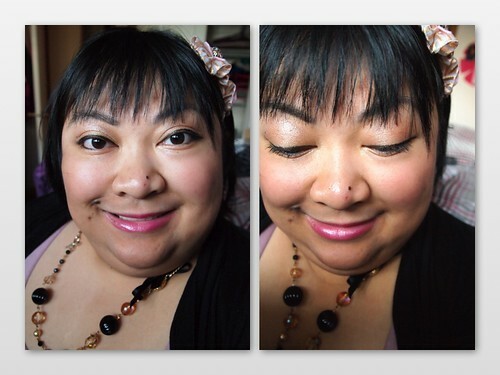 Love your FOTD! Sassy Marshmallow (Charmallow) is still quite a bit whiter on me in real life – Primped & Precious is more of a ‘proper’ silvery metallic grey.